Financial emigration, also known as formal emigration, and is the process of formally changing your South African exchange control or banking status from resident to non-resident. Essentially, you are declaring to the South African government that you are leaving for good. Informal emigration, on the other hand, is the process of moving to another country, without exporting your financial assets from South Africa, and without making any formal declaration to the South African government. There are many good reasons to financially emigrate, not least of which is protecting your savings from unpredictable currency fluctuations. The major advantage of financial emigration is that it allows you to withdraw and transfer your retirement annuity safely offshore – even if you are below the age of 55. The major disadvantage of formal emigration is that the South African Revenue Services will most probably view you as Non-Resident for tax purposes, triggering Capital Gains Tax on all your assets, except for fixed property and personal assets. It will also mean that your South African bank accounts will be closed. Informal emigration means that you will remain an SA resident for tax and exchange control purposes. Your assets will thus not be subject to Capital Gains Tax. Your bank account will not be designated as non-resident, and thus not blocked. Having a South African bank account remain open is advantageous if you are considering earning income from South Africa while you are in Australia. The biggest issues in deciding to informally emigrate are the limits on how much money you are allowed to take offshore from South Africa annually, and your inability to cash out your South African retirement annuities. There may also be tax implications for income earned, in both South Africa and Australia. Pathway's team offers quality advice on the advantages and disadvantages of financially emigrating, and we can recommend qualified financial professionals to assist you in making your financial decisions. For assistance with your financial emigration concerns, or any other general relocation issues, contact our friendly team to arrange a consultation. 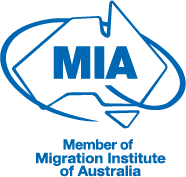 Our newly signed legal and migration clients will receive their first 30 minutes on this and other relocation concerns for free.